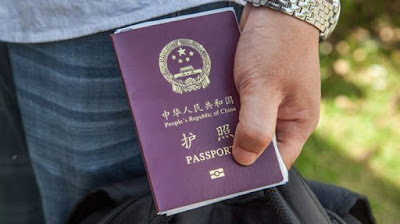 A Chinese tourist spent nearly two weeks in a German refugee shelter after mistakenly applying for asylum when he actually wanted to report a theft. 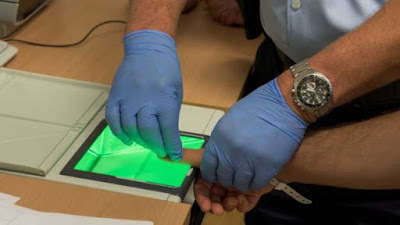 The 31-year-old backpacker, who spoke neither German nor English, underwent a medical check and his fingerprints were taken. A Red Cross worker later found out that the man's wallet had been stolen. But instead of going to the police the man registered as a refugee. After being robbed in Heidelberg, the man went to the town hall, which he thought was a police station, where he signed an asylum application. He was then taken 220 miles (360km) to a refugee shelter in Dülmen and given food and spending money like other refugees. "He simply did what he was told," Red Cross worker Christoph Schluetermann said. A Mandarin speaker later solved the puzzle. The translator was found at a Chinese restaurant near the refugee shelter where the tourist was staying. In early July the tourist arrived at the refugee shelter on a bus with migrants. "He was so different from the others. Very, very helpless," said Schluetermann. A translation app confirmed Mr Schluetermann's suspicions that the tourist had got entangled in the asylum system by mistake. "It came up with phrases like 'I want to go on a trip abroad'," he said. It emerged that the tourist had plans to visit Italy and France. The man, from northern China, had calmly allowed the authorities to take away his passport and visa, and take his fingerprints. He then had a medical check and was given the standard papers that refugees get on arrival in Germany. He had meals at the refugee shelter and received some spending money. Mr Schluetermann said shelter staff made futile calls to various consulates, hoping to identify the tourist. An error over the man's visa caused further delay. Finally, after 12 days at the centre, his asylum application was stopped and he was able to continue his European tour. The man did not get angry, but left Germany saying simply that he had imagined Europe to be quite different.